LETS BUY SOME BRICKS FOR THE HOUSE THAT JACK BUILT! Tables of 10 can be booked via e-mail sph.oliver@btinternet.com or call 01886 884488 or 01933 304778 now! 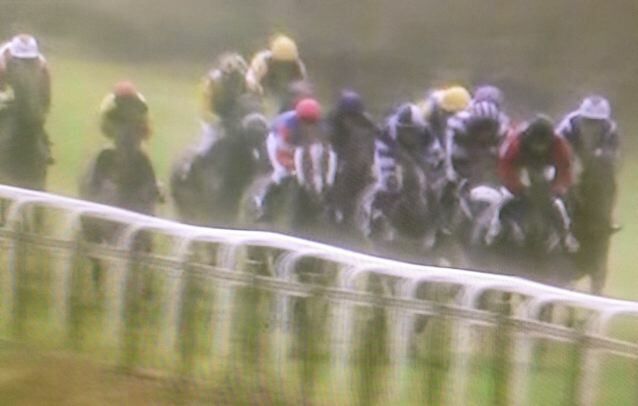 Beverley managed to stage a full card of 8 races today in desperate conditions with lashing rain and standing water in the paddock. The penultimate race of the afternoon, division 1 of the amateur riders’ handicap, provided a popular first success under rules for Laura Wilson on breeder and owner Peter Easterby’s COTTAM DONNY who made all under a fine ride to stay on with the rest of the field well strung out behind. Half an hour later Victoria Barr used similar front running tactics with SILLY GILLY to dictate the pace from the off and keep on well with just enough in hand to get home, even though obviously tiring on the testing ground. Many congratulations to both ladies on their successes today. This year the AJA’s dance will support the INJURED JOCKEYS FUND as a thank you for their invaluable work. The AJA request the pleasure of your company! WIN a FREE coaching session with STEVE SMITH-ECCLES! 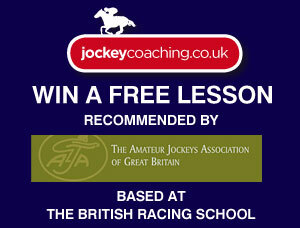 Just visit www.jockeycoaching.co.uk and enter your e-mail for the chance to win! Good luck! Competition closes on 10th December. 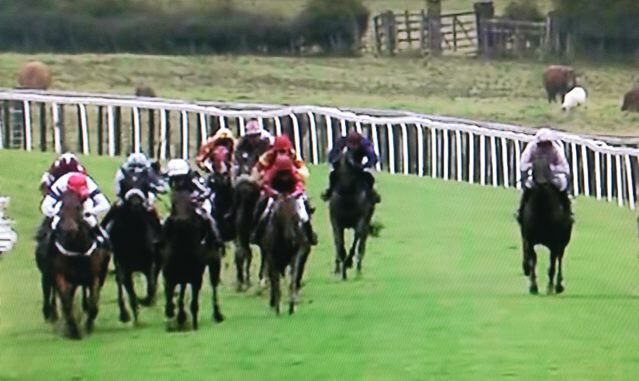 Congratulations to Ally Stirling who rode her first winner under rules at Uttoxeter today for Fergal O’Brien on GUD DAY when winning the 2 mile Novice Handicap Hurdle. The successful partnership jumped their way to the front two hurdles from home and sprinted clear on the flat to score easily. 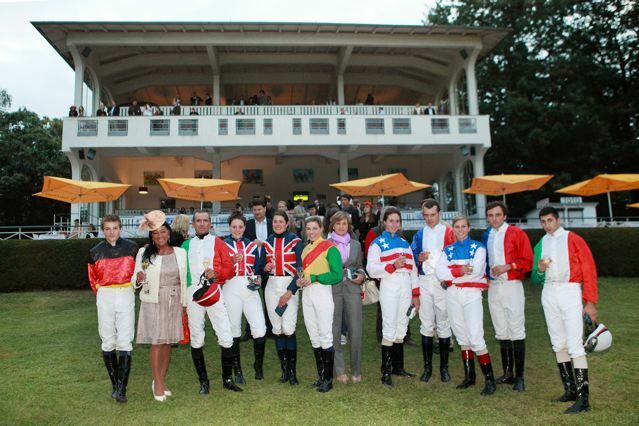 Jacqueline Coward wins for GB in Berlin! 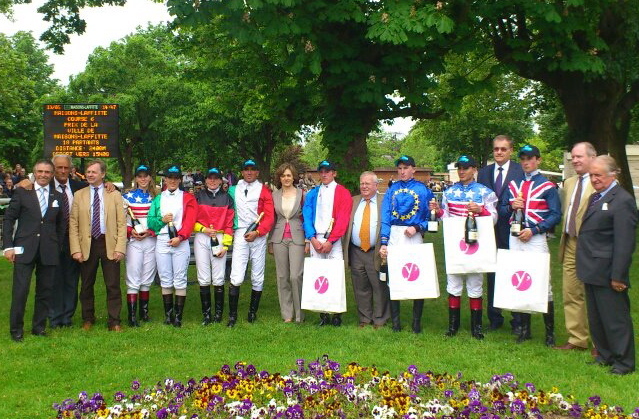 The Fegentri World Cup of Nations series moved to Berlin today for the 5th race in this year’s series, with Great Britain represented by Jacqueline Coward and Harriet Bethell, both top lady jockeys having their first official Fegentri trip abroad. 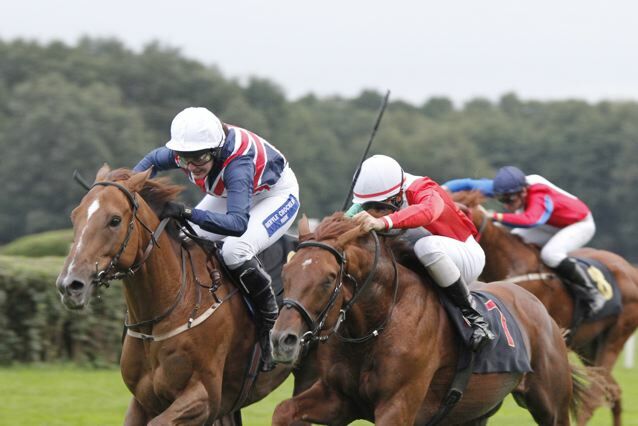 Great Britain now lie 2nd in the FWCN tables, having also been successful earlier in the year in Maisons Laffitte when ironically Nico de Boinville also rode a winner in France’s World Cup of Nations race. Last year France refused Nico any rides whilst he was GB’s representative because his total wins under rules were less than 5, even though he had point-to-point rides to qualify. Unfortunately France refuse to recognise Fegentri’s 2008 change of rules which allow point-to-point successes to count towards the criteria. Thanks to the generosity of Cheltenham Racecourse, the charity race originally planned for 18th November in aid of Greatwood has now been rescheduled and will take place on Saturday 20th October. If you would like to ride in this race, please e-mail sph.oliver@btinternet.com immediately or call 01886 884488 and full details will be sent to you by e-mail. Entries close on Wednesday next 12th September. 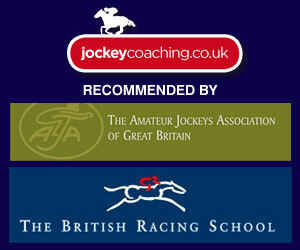 Good luck to Steve Smith-Eccles who has launched his new Jockey Coaching company and specialises in all forms of training for amateur jockeys. This is a fantastic service available to you. Please take a look on the above link. Steve can be called for help and advice on your riding skills on 07985 111556.